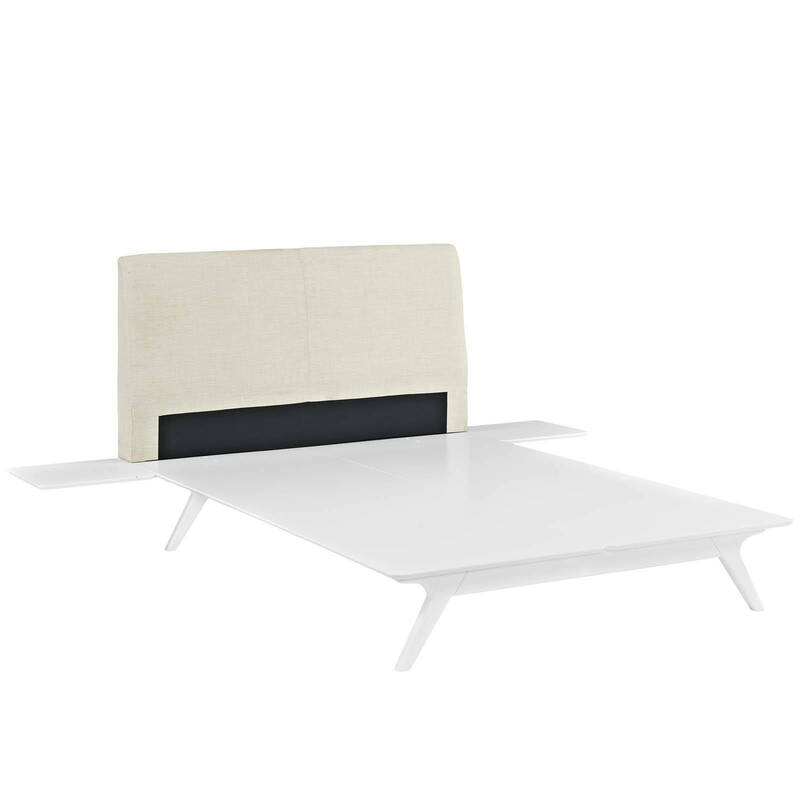 Transform your ordinary bedroom arrangements into a more compelling decor with the Tracy platform bed. Made of sturdy MDF boards, Tracy with its open design and platform leg support, proves that elegance doesn't need to come at the expense of simplicity. Finely upholstered with a foam padded fabric headboard, Tracy is an easy to maintain white piece that admirably delivers both comfort and style. Tracy requires assembly, and should be spot cleaned only. Headboard included. Mattress not included. 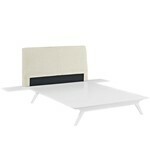 The Tracy platform bed does not need a boxspring.